Above: arriving at Thomas Land. Percy has just arrived with a train. We’ve just got back from a wonderful couple of days at the Drayton Manor theme park in Staffordshire. 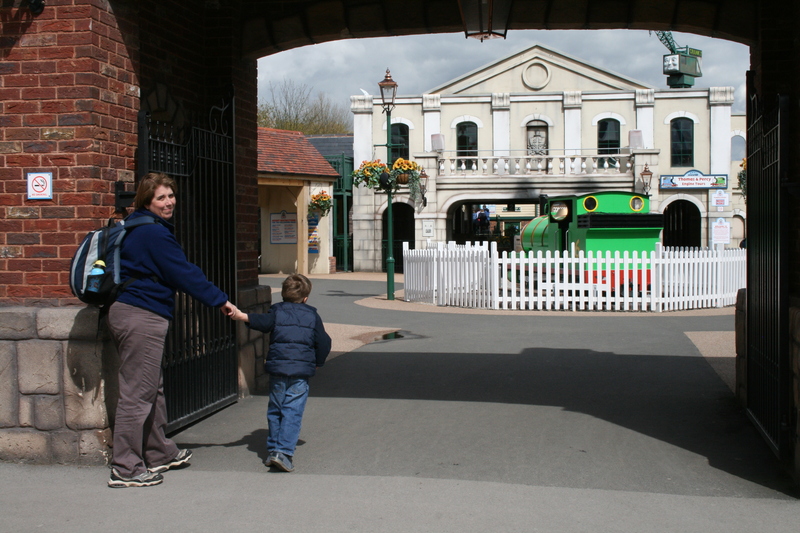 We were there so Owen could enjoy Thomas Land – the home of Thomas the Tank Engine and friends. We first visited last year, but this year we were staying at the new on-site Drayton Manor Hotel. We’re glad we did. We got a terrific advance booking offer in January: £128 for two nights for the three of us and a day’s entry to Drayton Manor, including Thomas Land. The hotel is superb, and we loved early evening Thomas entertainment for children. 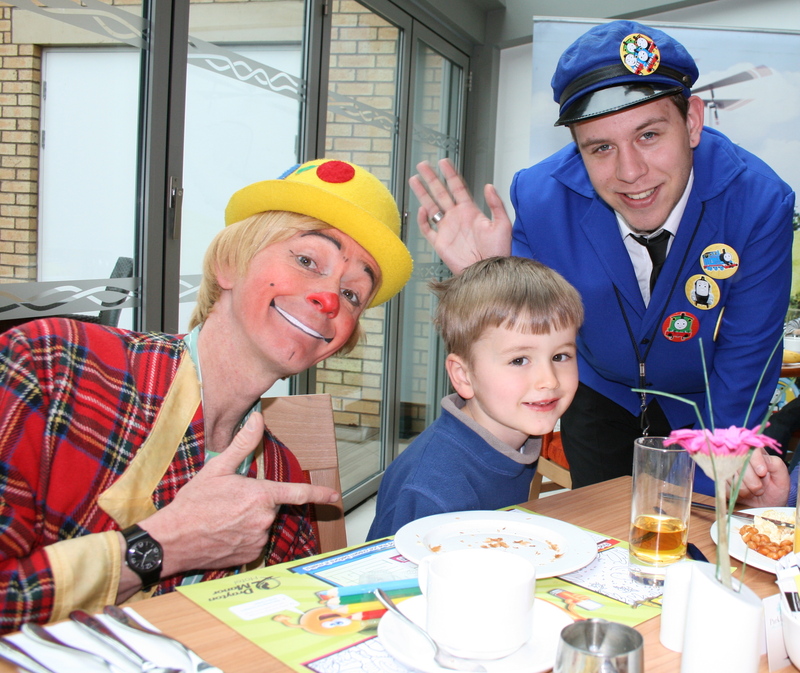 Not to mention the characters appearing at breakfast time, as you see below! Drayton Manor has a fascinating history – before and during its theme park days. The old Drayton Manor house – long gone – was the home of Sir Robert Peel, the founder of the modern police force and 19th century prime minister. The current attraction was created by George and Vera Bryan just after the second world war. In those difficult times, George recalls straightening used nails to re-use when he and Vera built the original Drayton Manor Inland Pleasure Resort as it was called in the days before the term theme park was invented. The Fred Bromwich history also shows how innovative Drayton Manor has been over the years. George and Vera put to good use their experience at the pioneering 1930s California-in-England leisure park in Berkshire, as well as early visits to Walt Disney‘s Disneyland in the original California. More recently, the Bryans have added dramatic new rides that look as good as anything that Alton Towers, Thorpe Park and others can offer. I can’t wait to try them when Owen lets me! Meanwhile, I’ll end with a shot of the engine that started the Thomas story. I wonder what the Rev Awdry would think of Thomas Land? PS: I was less impressed by the wifi service at Drayton Manor Hotel. It offered 30 minutes free. But the receptionist said any extra was £10 a day, which is a total rip off at a leisure hotel. (We paid the same amount for a whole week at The Park holiday village at Mawgan Porth, Cornwall.) Even worse, the hotel wifi service didn’t show any costs before you clicked on the ‘connect’ button. But I saved my money – because the service claimed my user name (my very own emails address) was already taken. Very strange. When will hotels get wifi right? PS, April 2015. 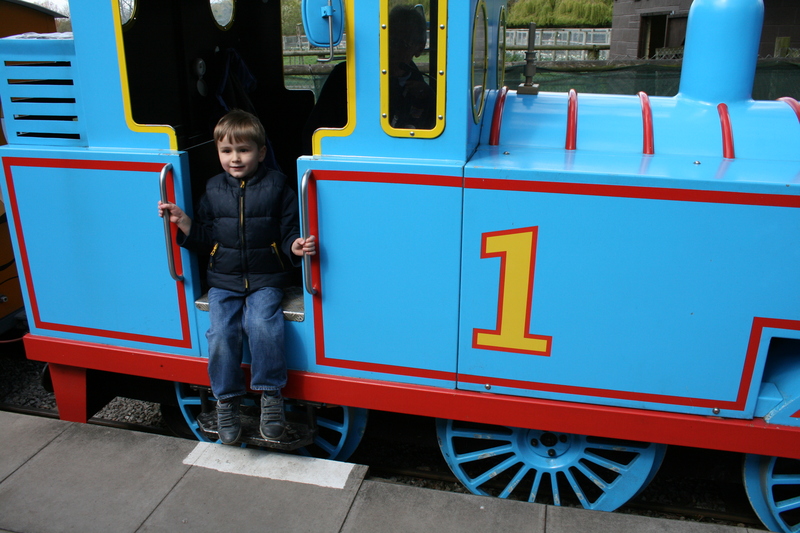 Owen and I spent another lovely stay at Drayton Manor Hotel and Thomas Land. (Karen couldn’t join us this time.) I was delighted to see that the wifi is now free – and very reliable. We dined at the hotel two nights in a row because it was so good. This entry was posted in Britain, Business, Family and tagged Drayton Manor, Thomas Land by Rob Skinner. Bookmark the permalink.